The Chattanooga Bach Choir will present Sergei Rachmaninoff’s AllNight Vigil for unaccompanied mixed choir, Op. 37, on Saturday at 7:30 p.m., at the Basilica of Saints Peter & Paul, 214 East 8th St. Admission is $25 and students are free. For more information and to purchase tickets, visit www.chattanoogabachchoir.org. For this concert, the Chattanooga Bach Choir will be joined by members of two local ensembles: Voci Virili Men’s Consort and Voice of Reason Women’s Ensemble, Harv Wileman, artistic director. The ensemble will be conducted by David Long with featured soloists Rosella Ewing, mezzo-soprano and Blaine Tooley, tenor. These performances of the All-Night Vigil will be sung in the original Russian. In addition to collaborating ensembles Voci Virili Men’s Consort and Voice of Reason Women’s Ensemble, featured soloists include Chattanooga favorites: mezzo Rosella Ewing, a frequent Chattanooga Symphony/Opera, Chattanooga Bach Choir soloist and professor at the University of Arkansas-Little Rock; and tenor Blaine Tooley, a frequent soloist with Voci Virili, as well as the former music director at Hixson UMC, who now resides in Memphis. 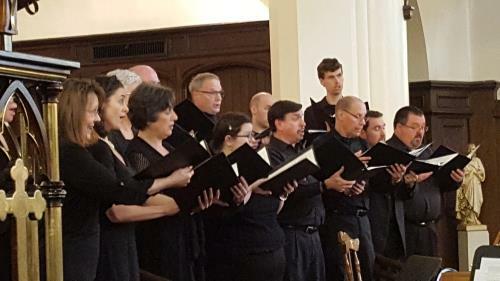 Established in 1985 by conductor James Greasby, the Chattanooga Bach Choir focuses on performing the choral works of Johann Sebastian Bach, in addition to choral-orchestral masterworks of all periods. Mr. Long was appointed artistic director and conductor of the Chattanooga Bach Choir in 2005. During his tenure, he has expanded the programs and repertoire to include a yearly series featuring Bach cantatas and performances of a wide range of music from the past to the present. Over its three decades-long history, the Bach Choir has performed the works of more than sixty composers from the Renaissance to the present, including Josquin, Telemann, Handel, Haydn, Mozart, Fauré, Duruflé, Lauridsen, and Gjeilo. 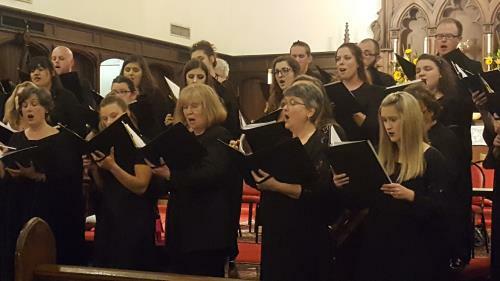 The Chattanooga Bach Choir’s performance of Rachmaninoff’s All-Night Vigil is made possible in part with funds from the Tennessee Arts Commission and ArtsBuild.